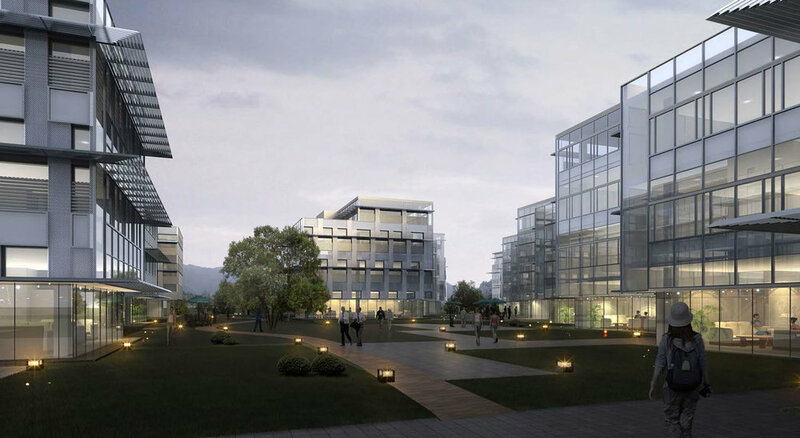 Suning IT Headquarters — Landworks Studio, Inc. 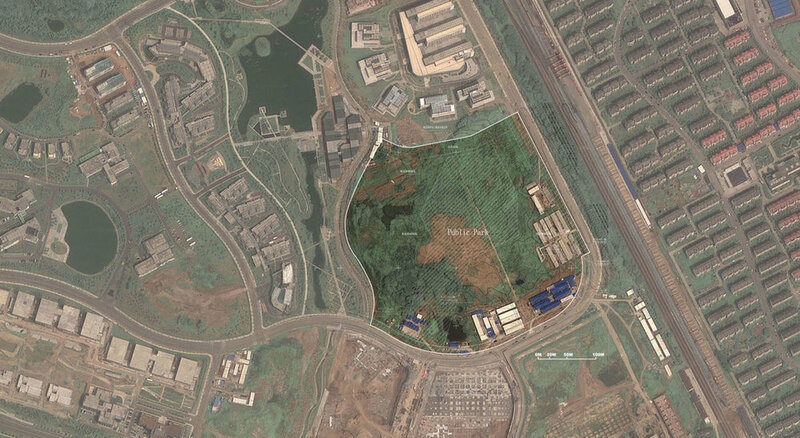 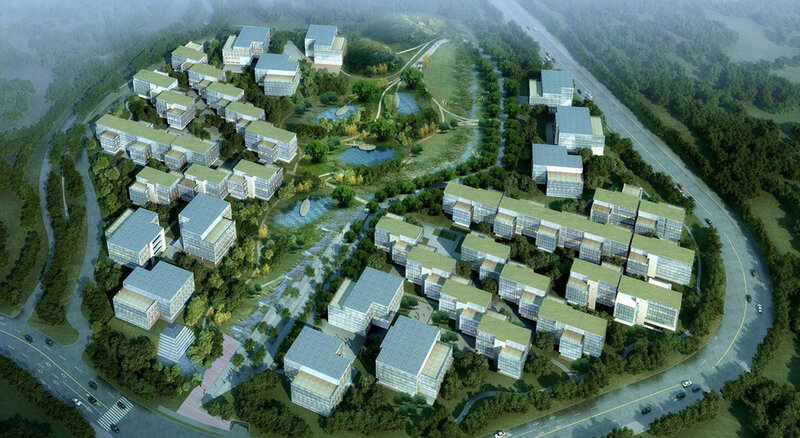 The Suning International Headquarters Park, located in Nanjing, China, will serve as an office and landscape park for the Suning Appliance Company. 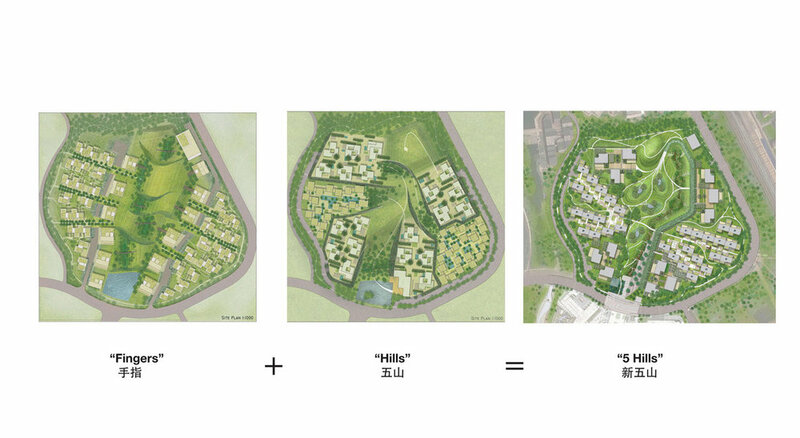 The campus will feature a series of landforms that create a topographic armature for the site, and act as a base for the Suning Headquarter buildings. 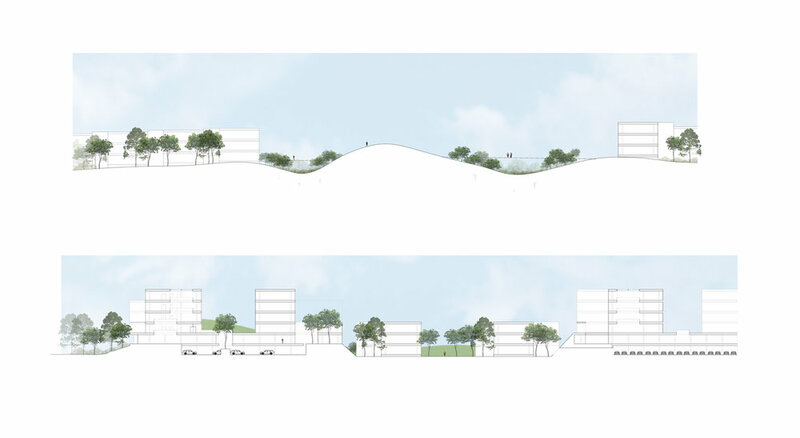 These landforms create an infrastructure for managing and reusing storm water while also structuring the relationship of the buildings with the site. 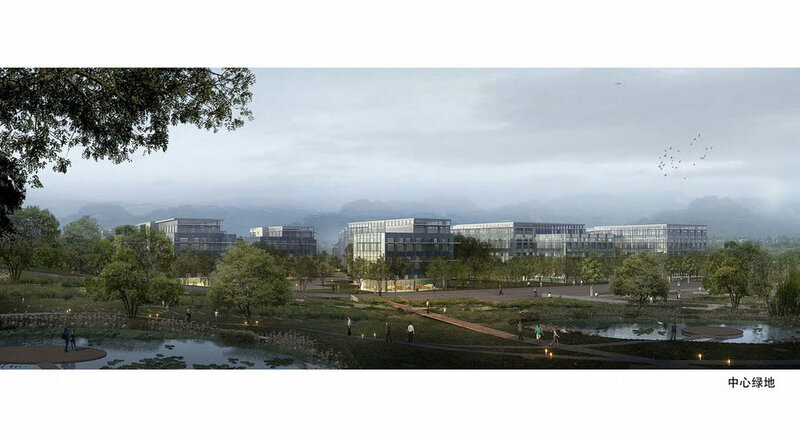 The landscape design for the Suning International Headquarters Park features site-sensitive strategies for integrating the architecture with the central park, creating a cohesive campus identity, and maximizing views to the regional mountains. 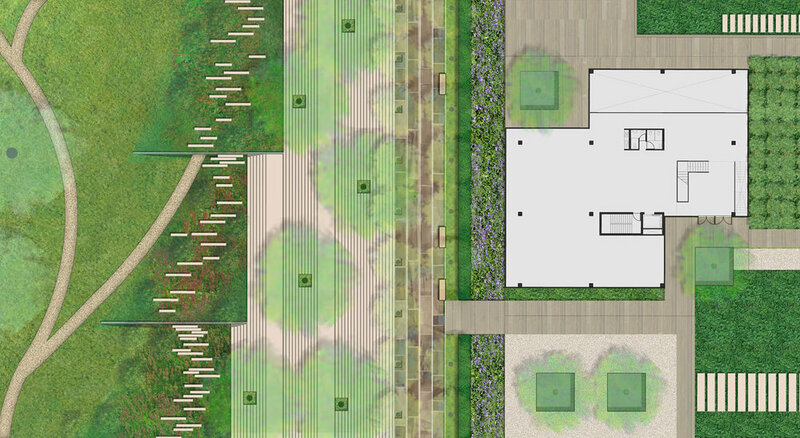 Design strategies for the park optimize east/west connections and allow for passive wind flow through the building campus. 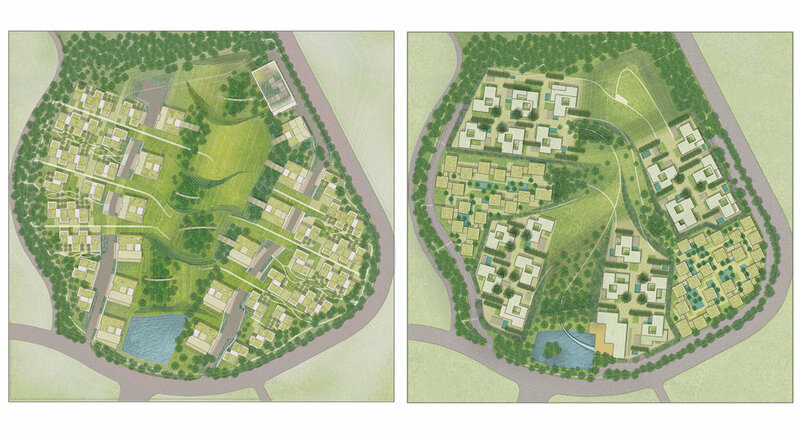 Robust plant communities and regional vegetation complement water management strategies while also maximizing opportunities for natural ventilation and light access to the buildings. 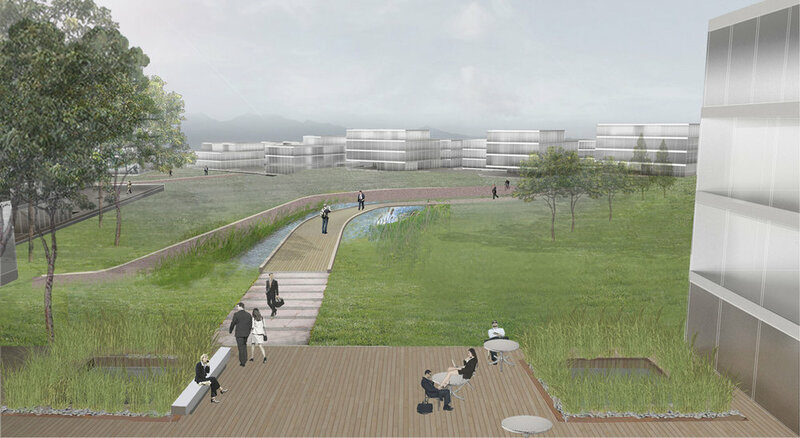 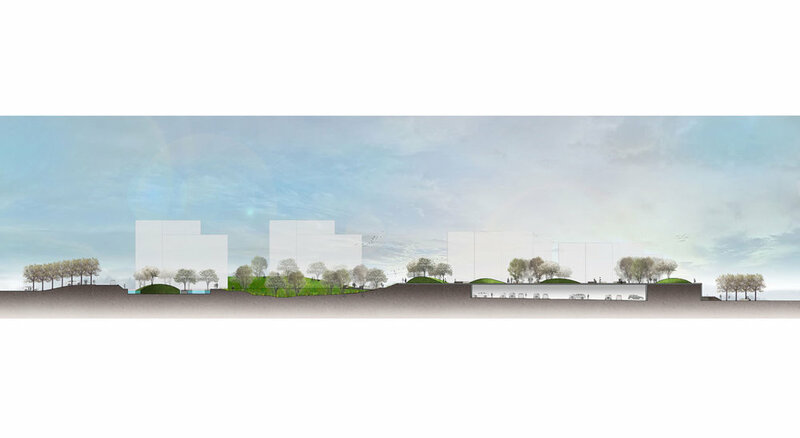 An enhanced vegetated perimeter creates strong visual connections to the regional mountains while also reinforcing the connection of the building campus to the site and central park landscape.